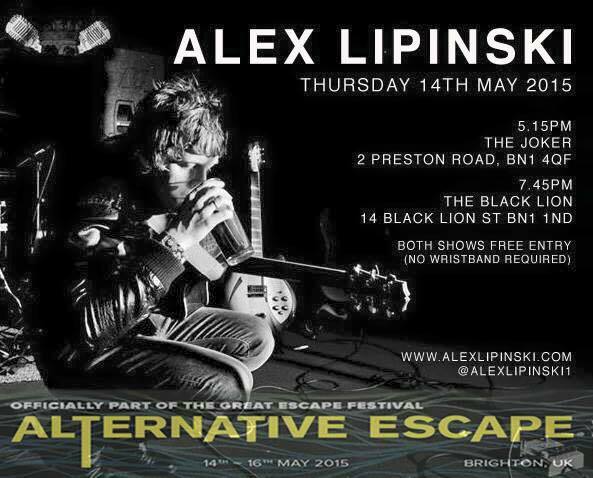 Alex plays The Alternative Escape Festival in Brighton next Thursday (14th May). 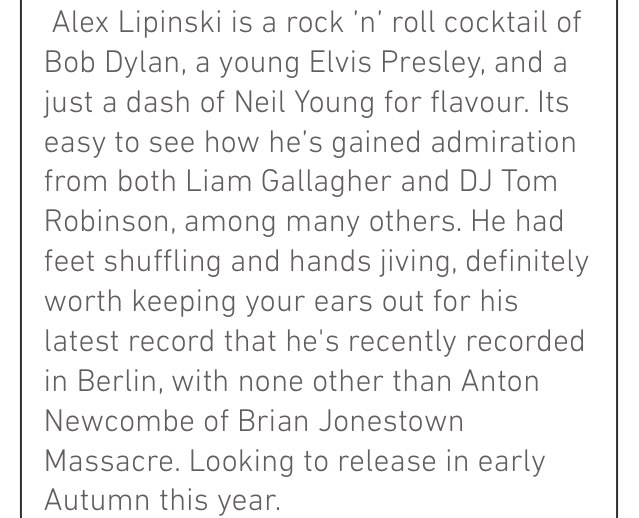 He plays two shows at two venues; The Joker at 5.15pm, and The Black Lion at 7.45pm. 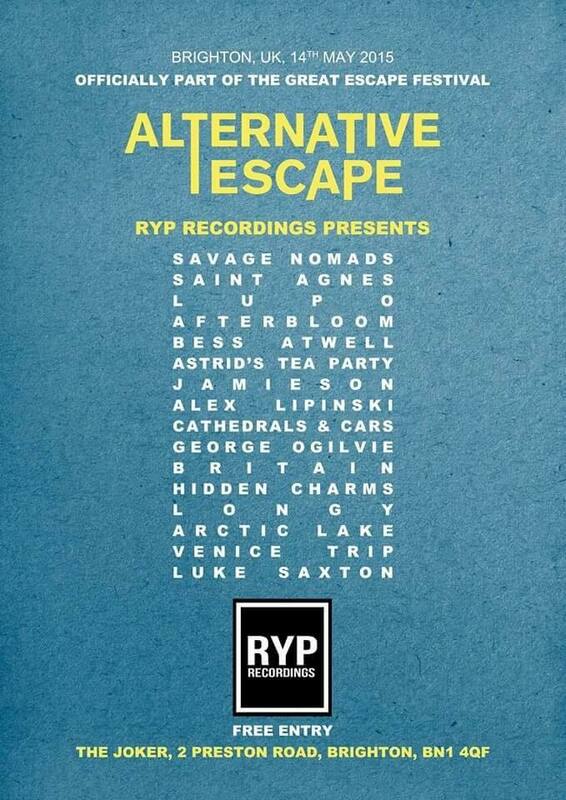 Entry to both gigs are FREE. No wristband needed. 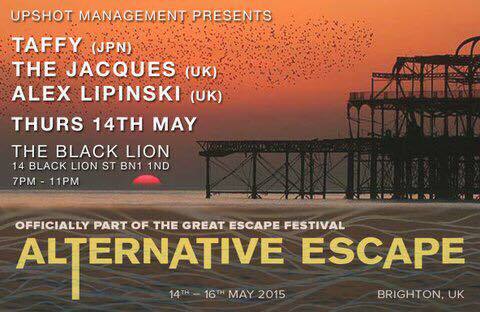 Alex has been confirmed to play this year’s Alternative Escape, in association with The Great Escape Festival in Brighton , on 14th May. He’ll play two different venues the same day; The Joker and The Black Lion. Full details and times to be announced shortly.